At Advanced, we carefully select our products to optimize our patients’ skin health and benefits. Before we recommend any products, individual skin analyses are performed to provide a customized at-home skin care regimen promoting healthy, beautiful skin. Custom formulated to the highest clinical standards with ingredient compositions personally formulated by Dr. Bassichis, we are pleased to feature our private luxury label high SPF UVA/UVB sunscreen, retinol, and Active Cleanser and Toner products as the cornerstones of age prevention therapy and facial health. Obagi is considered a worldwide leader in skin health with commitment to a lifetime of healthy, beautiful skin for all skin types and all ages. The Obagi System is anti-aging therapy to transform skin cell functions and correct skin damage. These specially formulated products are designed to prevent the signs of aging at the cellular level to reveal flawless, healthy skin. Benefiting from the latest advances in dermatology, La Roche-Posay presents a new generation of products featuring advanced formulas which showcase major molecular advances, and of course La Roche-Posay’s very own thermal spring water. A full product range to provide daily skincare for all skin types, even the most sensitive. The most technologically advanced skin care, backed by scientific evidence. Offered only through physician offices, these pharmaceutical grade products are elegant to apply. This state-of-the-art skincare line is designed to prevent future damage, protect healthy skin, and correct previous damage to restore youthful, radiant skin. 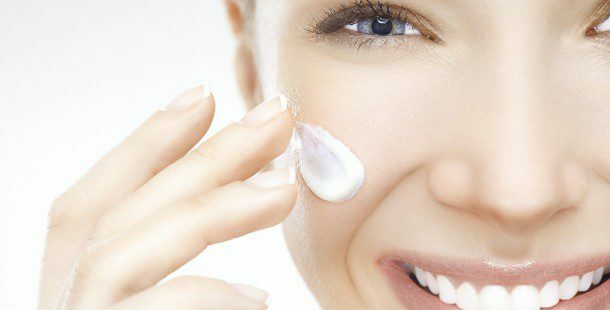 A complimentary skin care consultation is recommended to establish an at home regimen customized for you. The most beautiful cosmetic you can wear is healthy skin…which is why we are proud to offer Jane Iredale Cosmetics, “The Skin Care Makeup”. This beautiful mineral-based product line is a new technology designed by a physician for use in clinical settings, and utilizes the finest, cutting-edge pharmaceutical grade ingredients to ensure premium performance in coverage, application and texture. At last, exquisite make-up that’s good for the skin you’re in. Covercare, also part of the line, is recommended for concealing acne, psoriasis, port-wine stains and scarring. This new technology provides excellent coverage post laser surgery while maintaining healthy skin. IS Clinical is the exclusive clinical skincare brand by Innovative Skincare, which features exceptional “results oriented” optimizing skincare formulations to deliver dramatic physiological improvements in skin health. The expert pharmacologists, physicians, and skincare industry leaders at Innovative Skincare work together to precisely design and create products that conclusively deliver rapid, safe, and long-term improvements in skin texture, appearance, and overall integrity. MD Forte is a comprehensive alpha-hydroxy acid (AHA) skin care system scientifically crafted for maximum results and minimized irritation. So whatever your skin type, you can enjoy a personalized regimen to cleanse, renew, hydrate, and protect your skin. For visibly smoother and softer skin, diminished appearance of fine lines and wrinkles, increased skin hydration for a softer feel, balanced skin tone, improvement in oily or acne-prone skin; try MD Forte for skin care that’s just right for you. PREVAGE® MD is a revolutionary anti-aging treatment containing idebenone 1%, that has been scientifically shown to be one of the most powerful antioxidants available in a skin care product. PREVAGE® MD protects your skin from environmental stressors known to cause skin aging including UV light, air pollution, ozone, and cigarette smoke. The antioxidative power of PREVAGE® MD anti-aging treatment has been shown to reduce the appearance of fine lines and wrinkles, as well as skin roughness and dryness, and to even skin tone to restore youthful-looking skin. Actifirm is an industry-leading innovator of advanced, science-driven beauty products and professional skin care treatments. With a corporate philosophy that demands technological integrity and forward-thinking vision, Actifirm offers superior anti-aging formulas backed by rigorous clinical research. It is committed to developing groundbreaking solutions that enhance the skin’s natural ability to restore itself to a state of health, beauty and clarity. Age Intervention is a breakthrough in anti-aging technology for unparalleled skin care management. Age Intervention Face is comprised of the latest medically-based technologies designed to revitalize and restore the appearance of youthful suppleness and elasticity. Your skin, eyes, and eyelashes will look naturally younger, hydrated and radiant. Biopelle is an innovative aesthetics company committed to the science of skin care. With breakthrough technology, they continue to develop breakthrough skin care products that help discover skin’s potential. Products include Auriderm Clarifying Gel, a clinically proven solution to reduce the appearance of post-procedural bruising, and OC Eight Mattifying Gel which is a breakthrough skin care product with a unique technology to give even-toned, beautifully matte skin. For our out-of-town patients: We will be happy to personally fill your skin care product orders to send to your home. Please call our office at 972.774.1777 to speak to a Skin Care Specialist.